Administrative Law Judge MaryJoan McNamara working for the U.S. International Trade Commission made her decision on Tuesday based on the recent lawsuit ruling where Apple was found to have infringed on Qualcomm's technology patents. As Apple infringed on the patent, the judge said it would be acceptable for Qualcomm to be granted its import ban request. A "limited exclusion order" and a cease and desist order is recommended against Apple, the filing reveals. 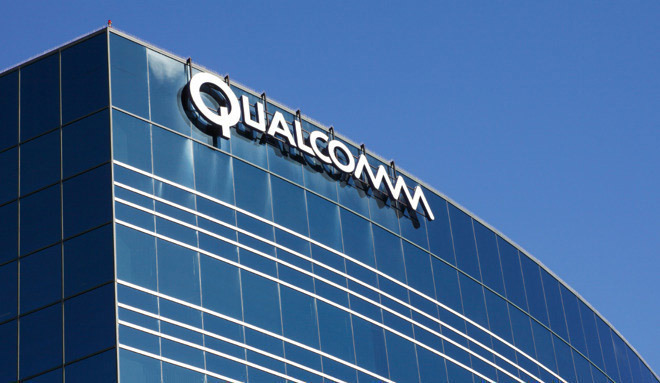 A bond is not being recommended during the review period by the judge, as Qualcomm's products "do not directly compete" with the iPhones using the infringing components. Specifically, the recommendation is being made on just one of three patents claimed by Qualcomm to have been infringed, while the other two were not deemed to have been infringed. Reuters reports the judge's statement was a recommendation and not binding at this point, as it still needs to be reviewed by the ITC. While it is possible some iPhone models could be banned from being imported and sold in the United States, it is also possible that Qualcomm's request could also be denied by the ITC following review. Neither Apple nor Qualcomm have commented on the initial determination so far. It also isn't clear which models will be impacted by any ban, which is still months or over a year away, given ITC review timetables. The recommendation arrives ahead of another ITC decision anticipated to be made later in the day, again relating to a request from Qualcomm to ban some iPhone sales. A ban in the United States would be an issue for Apple, while it works to avoid similar patent-infringement issues in other countries. Earlier this year in Germany, Apple was subjected to a ban on the iPhone 7 and iPhone 8 following another Qualcomm legal battle, but Apple avoided the issue by using Qualcomm modems instead of those produced by Intel that caused the ban in the first place. Apple subsidiaries in China were the victims of two preliminary injunctions in December, effectively banning the import and sale of iPhones running iOS 11 or older versions, again instigated by Qualcomm. The subsidiaries received criticism for seemingly failing to respect the decision of the court, by permitting the sale of models from the iPhone 6S running to the iPhone X.